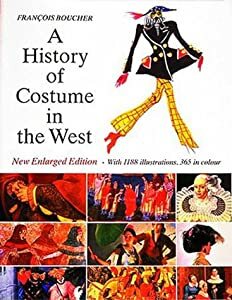 This book is my favorite place to start researching historical costume. It has a great overview of western fashion split up by time and then further detailed by location. Each time has a ton of pictures to look at and a bibliography to get further information. Unfortunately for this particular project the time period in question concentrates on France with info for Italy and Spain, but its English information is one paragraph that pretty much says "they wore stuff a lot like the Germans". I know, I know, a lot of you probably think this one is crazy or discredits me immediately. However, like a paper Encyclopedia I think Wikipedia is a great place to START research (the trouble comes in when it's an end, not a beginning). The key to Wikipedia is mining the pictures and the endnotes. For this project the page shows a lot of the same style of pictures as Boucher. At this point I'm definitely starting to realize that portraits are not the way to go, but that illustrations seem to show a lot of what I'm looking for. There are some great leads to books in the endnotes, too (Cosman, Madeleine Pelner; Anne Hollander; and M. Vibbert for anyone looking for the info). Another great place to mine sources for original art, Pinterest can also be hit or miss. I start by plugging in basic search terms (15th century, medieval costume, gothic art, etc) and pin the results to my own research board. After that you start following the links. Some will lead to crappy places like Tumblr that won't give you any information at all, but you'll likely end up with at least a few that lead to art museums, blog posts by knowledgeable enthusiasts, or other great sources. A final place I like to start looking for information is in a good network of costumers. You never know who knows about what you 're looking for, or who knows someone who does. 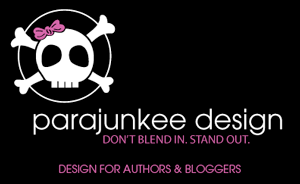 Ask around on facebook, livejournal, or on your blog, wherever your connections to costumers are. The key to this is to ask for leads to primary sources, not for a dissertation on everything you need to know. People are usually happy to provide a lead or two, but or to answer a few specific questions, but something open-ended like "tell me what I need to know to make a 15th century costume" is likely to lead to silence because the answer is just too big. Ask for help, not for the complete picture. In my case this is really where my new project broke, a friend told me to look up books by a manuscript researcher named Janet Backhouse. The important thing to remember when you're starting out your research is that you're probably not going to have all the information handed to you on a silver platter. Look for places to start, not to end, and you might find that the trail of information leads you on a great journey.